“Everything that comes in threes is perfect” goes the old Latin saying. Trikes are an interesting branch of the motor vehicle family tree. They’ve carved out a niche as the ideal vehicles for people with physical disabilities, people who are less confident about their balance, as well as anyone wanting to ride in style. Join Bikesure, the free-wheeling insurance broker, as we get the low down on everything you need to know about three-wheeling. It goes without saying that you need to be pretty confident in your engineering skills if you’re planning on making your own trike. Luckily there are also plenty of companies dedicated to building custom three-wheelers so finding someone to make one for you should be simple enough. There are a couple of ways to make your bike a trike. The first is, essentially, swapping out one of the wheels for a new axle unit. There’s a number of companies that make these axle units, which can be placed either front or rear. There are even some makes of bike which can be adapted without welding, which pushes the difficulty down a couple of notches. 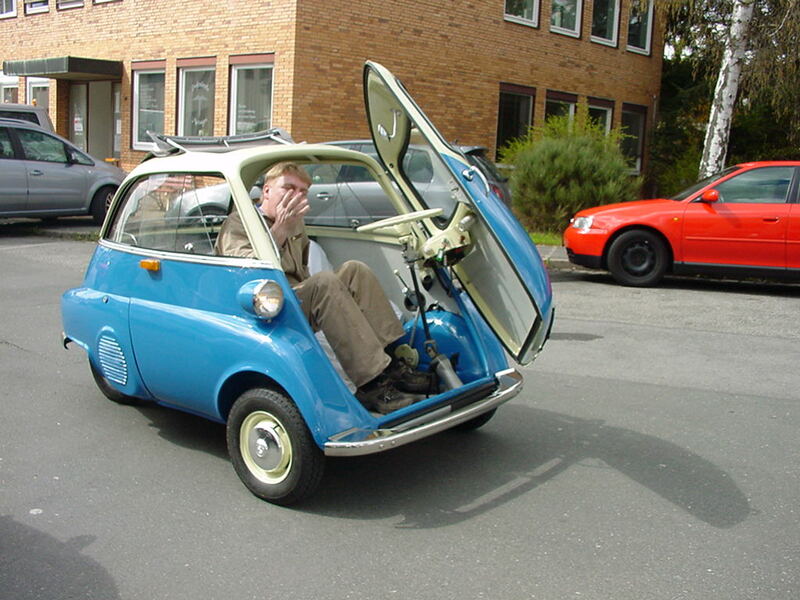 Another popular method involves taking a smaller car and adapting it. Some popular cars for this include the Volkswagen Beetle and the Robin Reliant. The King of rock and roll Elvis Presley was a fan of VW trikes and owned a few during his lifetime. Obviously the Reliant is already a three-wheeler which takes some of the guesswork out of getting the frame right, but it’s a big job regardless of your starting point. If you take the route of adapting an existing vehicle, you must update its details with the DVLA and make sure the correct information is recorded on the V5 form. Movie pitch: a sequel to Easy Rider where they’re all on trikes. Harley-Davidson are one of the only big manufacturers to offer a trike straight out of the factory, they actually bought a company that specialised in creating custom Harleys and turned them into official products. They have two models: the Freewheeler, which is a three-wheeled riff on the classic bobber style. The second is the Tri-Glide, which is based on the Electra Glide. Both have the level of polish you’d expect from HD, and price-tags to match. 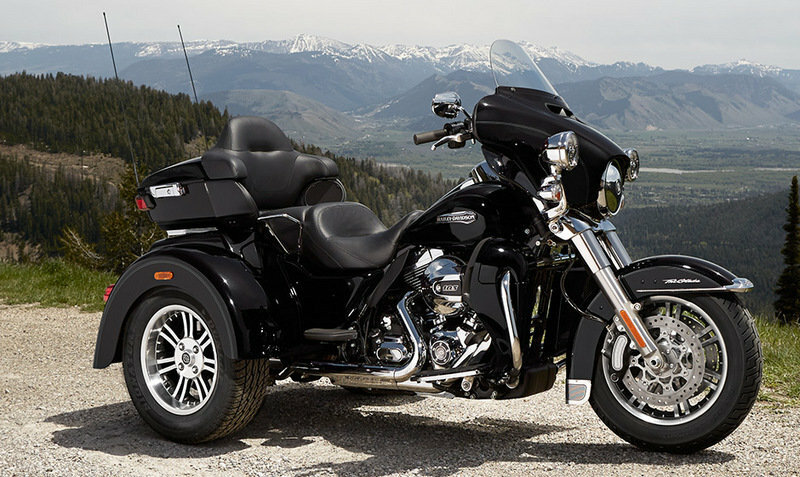 The Freewheeler starts at £23k and you’re looking at £30k for the Tri-Glide. As anyone who knows custom bikes, there are custom bikes and then there are custom bikes. Rewaco are definitely in the latter category. These may not technically be VW Beetle custom trikes but they are within that lineage, with a wide rear axle that allows for large, upholstered seats and plenty of storage space as well as a whopping great engine. These are perfect touring machines, the kind of bespoke, high quality machines that’ll turn heads wherever you go. Like Rewaco, Boom are another German company offering full conversion, giant spaceship looking trikes. Despite their size and the complexity of the build there are some variants of Boom trikes that are comparable to the Harley-Davidson in price. Admittedly buying such a large machine with a 100HP engine is probably not going to make your triking experience particularly exciting, but it’s got to be someone’s idea of a good time. But in many parts of the world, the default motor vehicle of the people is the scooter, so creating a smaller three-wheeler would fill a gap for people looking for a smaller bike, but who are put off by balancing on two wheels. Piaggio, creators of the Vespa, produce the MP3 range of reverse trike scooters. The extra stability afforded by the third wheel means it costs more than a similarly spec’d scooter, but if you’ve got an itch only a scooter-trike could scratch then you don’t have a great deal of choice. The MP3 isn’t Piaggio’s first trike. For decades the Ape (Italian for bee, just as vespa means wasp) has been the small cargo trike of choice. Now, you’d have to be an absolute legend to consider one of these as your main form of transport, but if you’re looking to start, say, a mobile catering business or carry small amounts of cargo they’re perfect. Yamaha originally unveiled their contribution to the future of trikes back in 2015. 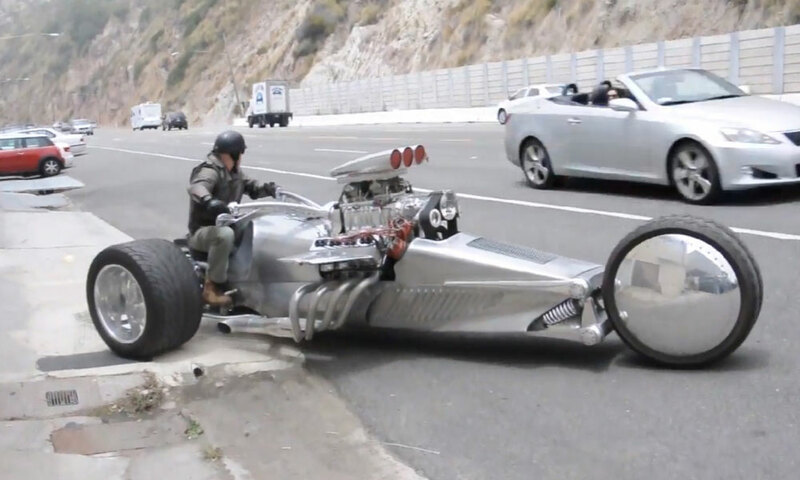 A reverse trike with a tough modern sportsbike styling, it looks like a Transformer caught mid-transformation. It has advanced suspension that allows the front wheels to lean, combining stability with the manoeuvrability of a standard motorcycle. Since its first public appearance rumours swirled around as to whether it would be released at all, but Yamaha are now aiming to unleash it by the second half of 2018. It’s a big, bold play at creating a new market and if it catches on could prompt other manufacturers to take risks. Yamaha’s other trike is the Tricity scooter which is a trike designed for the city. Do you see what they did there? This is pretty much the only competitor to Piaggio, and is also about half the price. It’s also one of the best illustrations of the classification weirdness trikes can be subject to. 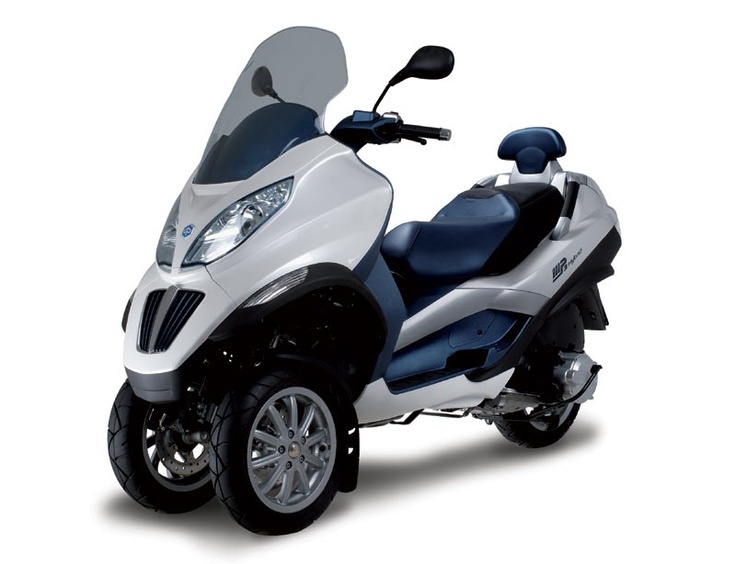 Whereas the Piaggio trike requires a car licence to drive, the superficially identical Yamaha has some differences in engineering that mean it counts as an actual scooter and can be driven on a motorcycle licence. Honda’s Goldwing luxury tourer is a popular choice for conversion, and it’s one of the easiest custom trikes to find. 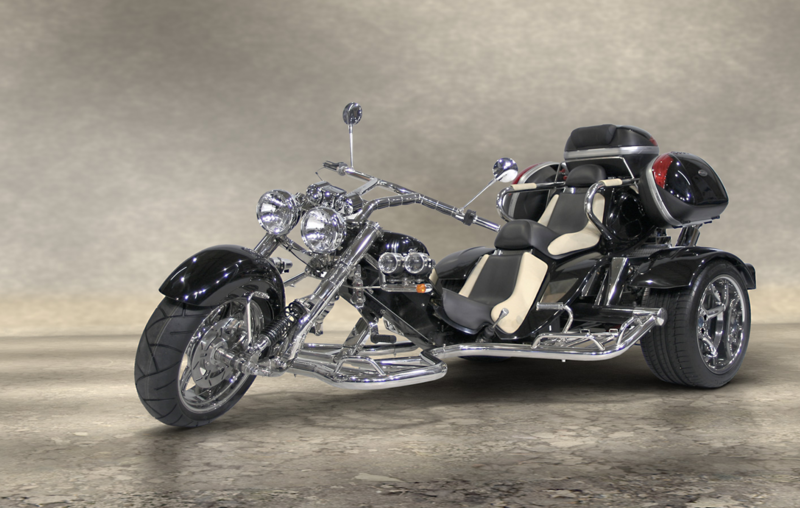 With the large seats and powerful engine already in place you don’t need to do much to make a mighty trike. Not only are there standard conversion kits for the traditional single-wheel-forward delta configuration, but also in the tadpole – two wheels forward – configuration. This makes the bike more stable and aerodynamic, plus it look kinda cool. Honda have yet to release an official trike, but they’ve been experimenting with the form. A few years ago they began showing their Neowing concept, which is a supersport style tadpole trike incorporating advanced balancing technology. 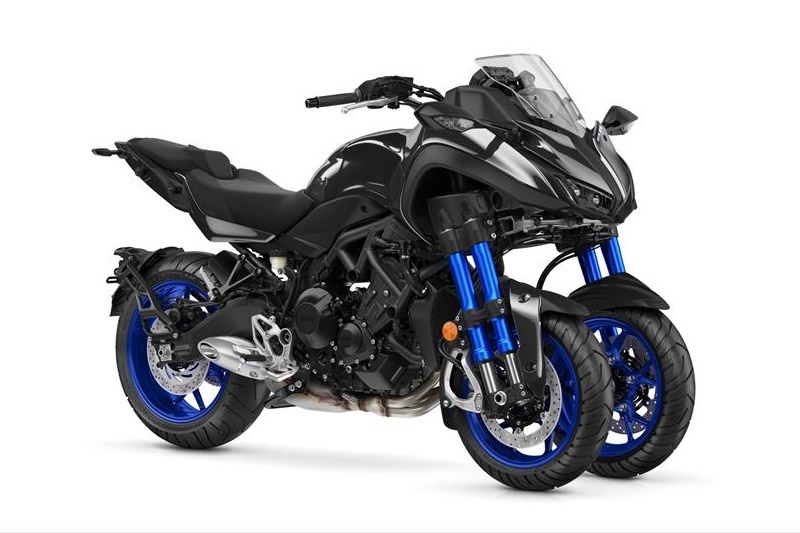 They’ve yet to announce a release date, but if the Yamaha Niken does well it could well spur them to action. 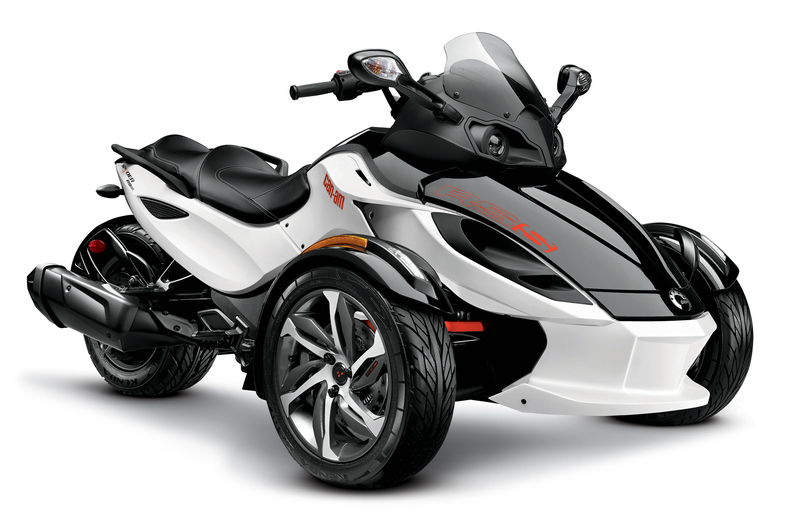 Can Am make of some of the most desired quad bikes, so it’s unsurprising the Spyder is more quad-y in its looks than other machines on this list. Despite its sporty, aggressive demeanour it’s very much a tourer at heart, ideal for long, scenic journeys through epic landscapes. Figuring out the exact size of the Venn overlap between three-wheeled bike and car is trickier than you might imagine. Until the law was changed in 2013 some trikes were classified as cars and some three-wheeled cars were, somehow, trikes. They’re somewhere inbetween. 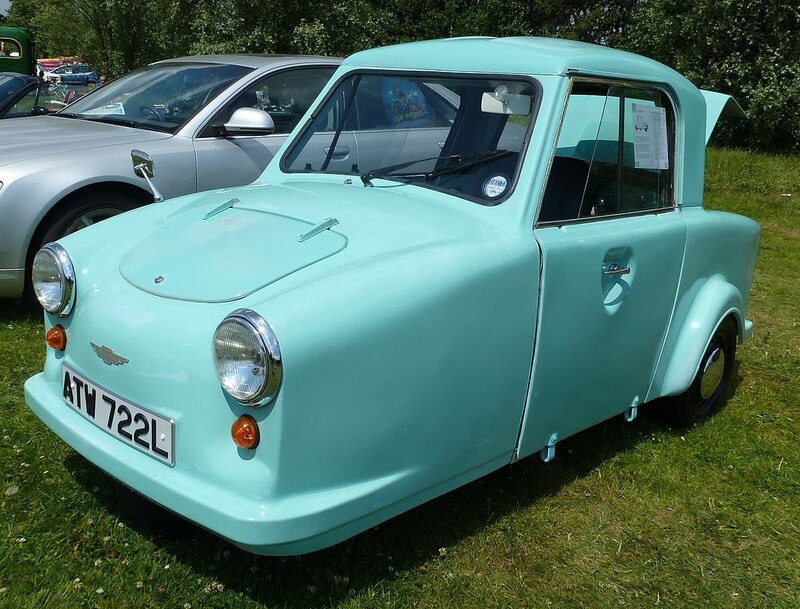 For example, the Thundersley Invacar used to be a common sight on British roads. Adapted from a motorcycle, it was designed as a means of transport for the physically impaired. This category of vehicle is sometimes called a cyclecar, meaning a small car which uses a motorcycle engine. In the early 20th century these were sold as affordable vehicles, and made up a significant portion of cars on the road. Many manufacturers, like Morgan, started out making three-wheelers, but improvements in engineering meant that four-wheelers overtook them in popularity. During the 50s there was another attempt to make microcars popular, in the form of bubble cars. These were part of the optimistic rush of new ideas that flooded the market in the aftermath of World War II, with quirky designs that looked great, despite certain flaws. For example there was the Isetta, where some early models had a single front-opening door and no reverse gear, meaning if you drove too far into your garage you may well have been stuck there. The 1950s also saw the birth of a true British automotive legend. The Reliant Regal was a lightweight three-wheeler, and could be driven on a motorcycle licence. 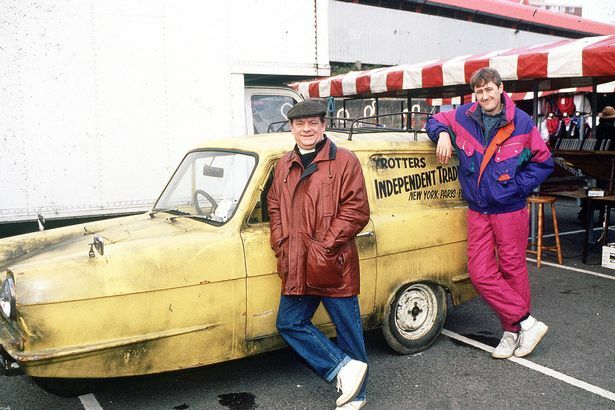 Its successor the Robin was released in 1973, and of course the Regal went on to a starring role in the sitcom Only Fools and Horses. 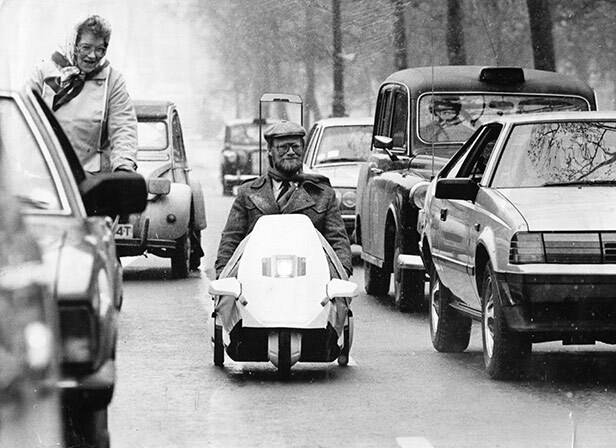 No history of three-wheelers would be complete without mentioning the Sinclair C5. Hyped as the future of personal transport, it was not. Technically an electric recumbent tricycle, it was released to great fanfare and met with a resounding no from the great British public. Despite this the Sinclair family have not given up on the dream of creating an electric trike, with Sir Clive’s nephew Grant due to launch the Iris e-trike in 2018. It’s larger than the C5, but it remains to be seen whether it’ll take the world by storm. There are a few modern successors of the cyclecar, although these aren’t low-cost alternatives. 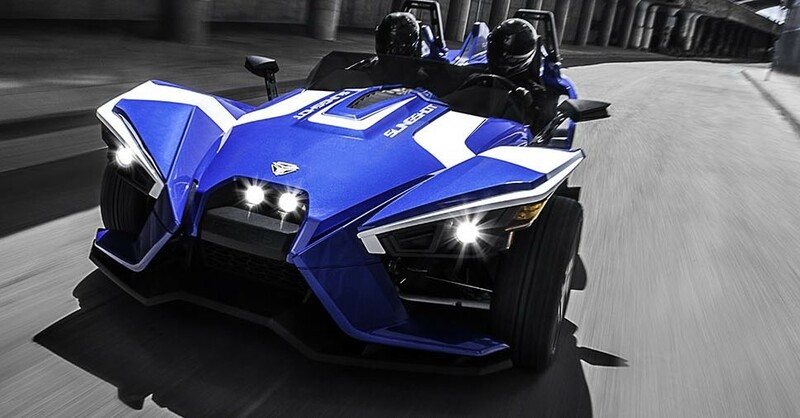 For example, the Polaris Slingshot is undeniably in the same mechanical tradition as cyclecars but financially it’s more in the “mid-life crisis purchase” tradition. It’s all angular bodywork and tubular frames, a cool, futuristic sled. It’s also relatively dangerous, its classification as a motorcycle in the US helping it to sidestep the more rigorous safety procedures required of cars. If you fancy a sci-fi trike with space for a passenger and very few modern safety features, then the Slingshot is pretty much the only game in town. Or at least the only one with UK dealers. 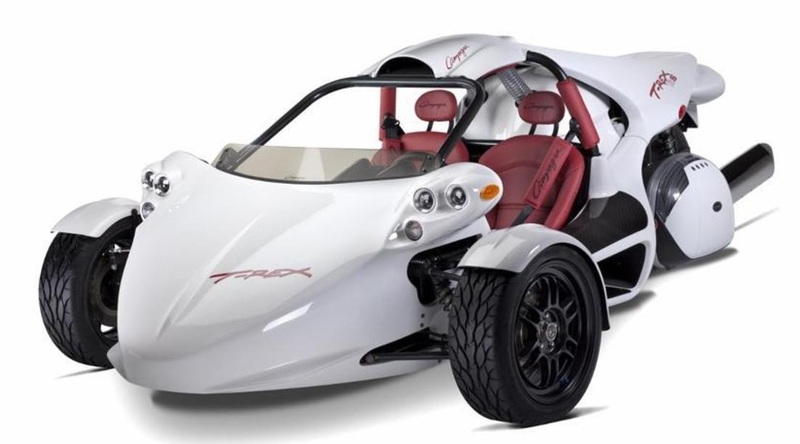 On a similar vibe to the Slingshot, Campagna have two motorcycle/car blurring machines, the T-Rex and the V-13R. Built in Canada, they’re absurdly fast but have a more traditional, yet still futuristic design. The T-Rex has been in production since 1995, so it’s one of the more established brands. There are not too many dealers in the UK, if any, so you might have difficulty tracking one down. 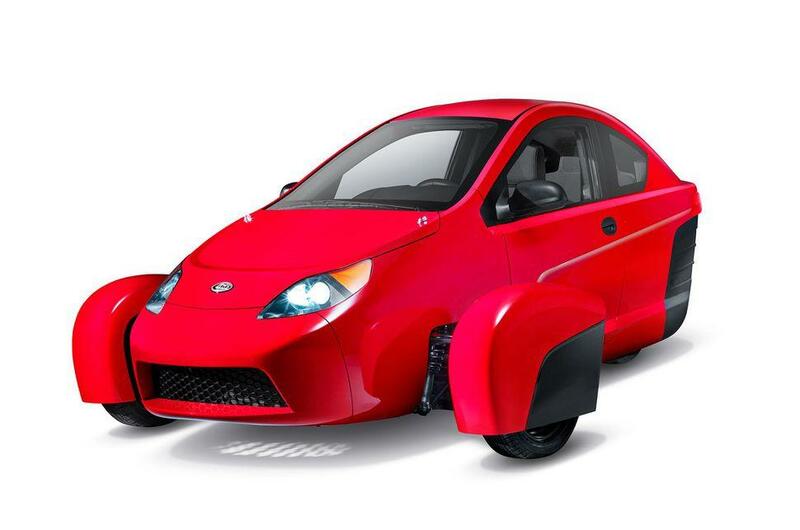 Since 2009 Elio Motors have been working on their three-wheeler, the P4. This looks more like a traditional car, with doors and a windscreen and a roof and is being hyped as a low-cost alternative to cars and bikes. More importantly, it has the traditional suite of safety features car drivers have come to expect, with a crumple zone and airbags which will at least give you a better chance of survival should the worst happen. There’s currently no sign that it will actually get released to the public, despite the company accepting pre-orders since 2013, and the release date has been shifted back a year for the last three years running. Plus, it was reported in 2016 that the company had over $100 million of debt. Which is to say, don’t be surprised if it doesn’t get released. Obviously, if it does go into production it has the potential to be a huge gamechanger, but we have our reservations. With big companies dipping their toes into the trike-water we could be looking at the start of a golden age of three-wheelers. Have we missed anything particularly amazing off the list? Sound off in the comments!